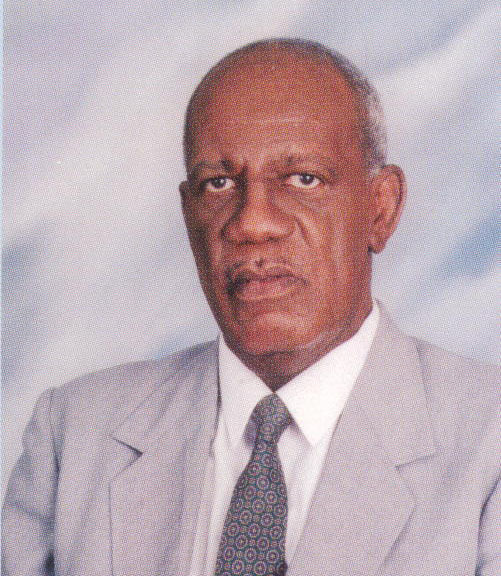 Mr. Roderick Rainford was educated at the University of the West Indies where he obtained a degree in Economics in 1963 and then proceeded to study jurisprudence at Oxford University in 1966. In 1971, he undertook studies in international relations at the University of Toronto, obtaining an MA degree. Mr. Rainford's academic background is distinguished by the fact that he is one of a handful of West Indians to have won the Rhodes scholarship. After completing his formal education, Mr. Rainford yielded to the call to gain experience in Africa. He worked in Zambia as a Resident Tutor in the Extra Mural Department of the University of Zambia for three years. This African experience was important imbuing him with both cosmopolitan and third world perspectives. Mr Rainford returned to Jamaica and joined the public service working in the Ministry of Trade and Industry, with a focus on industrial development. He was a technician who paid significant attention to detail and provided solid advice to policymakers. These facts on Mr. Rainford's educational and work backgrounds are important because they significantly determine his approach to the position of Secretary-General of the Caribbean Community. His background in economics, the law and international relations, his West Indian, Canadian and British education and his work at the University of Zambia enabled him to see the world in a particular way. This diverse experience was critical to his response to the rather difficult period during which he presided over the affairs of the Caribbean Community. 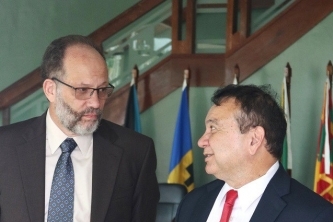 Mr. Rainford came to the CARICOM integration process from his position in the Ministry of Trade and Industry as Deputy Secretary-General to Dr. Kurleigh King in September 1983. From that particular vantage point of Deputy Secretary-General, he understood the nature and intricacies of the problems affecting the Community and the challenges of the Secretariat. He had been a part of the struggle to get the political directorate to again begin to give the necessary political priority to the integration process. 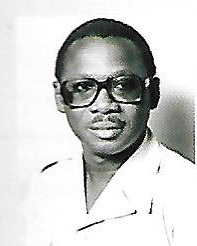 The long period where the Heads of Government failed to meet ended in November 1982 with the Third Meeting of the Conference in Ocho Rios and was followed seven months later with the Tenth Anniversary Conference in Port-of-Spain in July 1983. Secretary General King turned over the ship to his Deputy, Roderick Rainford. 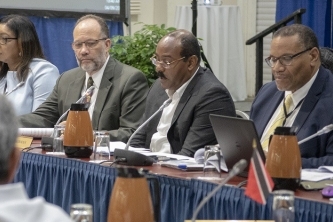 Secretary-General Rainford took the mantle at the beginning of September and based on his educational background and experience was well prepared for the position. September 1983 was however another defining period in the integration process. The internal confusion in Grenada with the overthrow of the Maurice Bishop regime and the assassination of the Prime Minister and several senior Ministers created the situation in which, within one month of assuming office, Secretary-General Rainford had to convene one of the most acrimonious Special Meetings of the Conference. The political manoeuvrings, the ideological differences, the lack of trust and finally the United States-led invasion of Grenada stretched the integration process to its very limits. 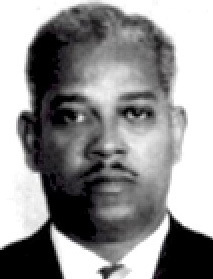 Mr. Rainford used all his diplomatic skills and quiet rectitude to keep the integration movement intact and viable. When the dust had settled, there was one positive outcome of the Grenada imbroglio which was that the Region had begun a return to ideological uniformity. The international economic environment had not improved. The reduction in oil prices in 1992/93 returned the pressure on the oil importing states but created a depression in Trinidad and Tobago. The international community was pressing the Region to enter a Washington-based structural adjustment programme which would open Regional production to win more competition. In the 1984 Summit, the leaders shifted the focus back to economic matters. 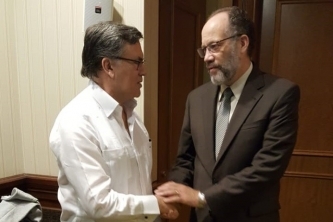 They adopted the Nassau Understanding on Structural Adjustment and Closer Integration for Accelerated Development in the Caribbean Community, in which, among other things, they sought to stabilise the Regional economy and to end the restrictions on intra-Regional trade. Mr. Rainford and his team then begun a period of measured and careful rebuilding which culminated in the Grand Anse Declaration of 1989. 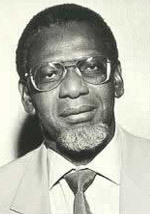 In Mr. Rainford's own words, the challenge was "to hold the tide where the integration movement had reached; to prevent a rolling back ... [then] to build on the limited areas of argument ... create building blocks which could serve as the basis for larger enterprises ..."22 The Declarations of the Heads of Government Conferences of 1985, 1986 and 1987, which all dealt with economic matters vital to the sustainability of the Community were all encompassed under the leadership of Mr. Roderick Rainford and the Leaders of the Caribbean Community. They all served as building blocks for the 1989 Grand Anse Declaration which laid the foundation for the determination by the Leaders of the Community to establish the Caribbean Single Market and Economy. By the time Rainford demitted office in August 1992, a number of significant developments had taken place: the rudiments of the Regional Stock Exchange, and the crossborder listing and trading of shares in the Barbados, Jamaica and Trinidad and Tobago Stock exchange were in place; the framework for the Caribbean Investment fund was negotiated; and the Common External Tariff which included all Member States was in the final stages of negotiations. During his tenure, the Region introduced a new focus on the environment. 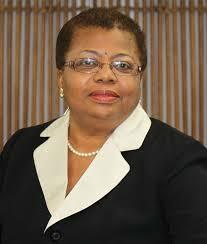 In 1989, Ministers of Environment of the Caribbean Community issued a major Declaration - the Accord of Port-of-Spain. This formed the basis for the Community's strong and effective participation as a group in the June 1992 United Nations Conference on Environmental and Development. Mr Rainford brought patience and deliberation to the movement. He was to emphasise that one of the lessons he learnt as Secretary-General was the pronounced national sentiment within the Region. He stated that national considerations tend to hold primacy in the Region.24 The lack of the salience of Regional issues in the national politics of Member States is a major impediment to the development of the integration movement. One of the lessons he also learnt as Secretary-General was that the intellectual class and the governments of the Region, and the opinion makers should work hard at persuading the Regional populations that their stake in development could be better served through greater integration. 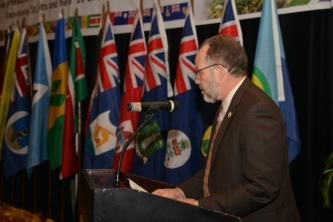 When the Caribbean Community had evolved to the point where the salience of Regional issues predominates over national ones, then both the work of the Secretary-General of the Secretariat and the integration movement itself will become much more manageable. 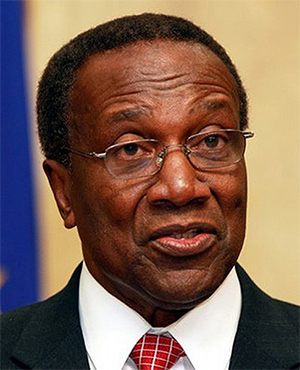 Mr. Rainford is of the view that the Secretary-General of the Caribbean Community should seek to work within the parameters of the Treaty governing the integration movement and to determine how the powers granted under that Treaty could allow the sitting Secretary-General to pursue the widest aims of the integration movement. In exercising this function, the Secretary-General has to take account of the sensitivities and complexities of the politics of the Member States of the Community. Mr. Rainford did not see integration of the English-speaking Caribbean as proceeding without at some time involving the wider grouping of countries which are beyond the immediate Caribbean group.27 In other words, the widening of CARICOM was also part of his thinking. Another point of importance is the popular basis of the Community. Mr. Rainford felt that it was important that the Region move beyond the instinctive sense of mutual belonging of the peoples of the Region and devise means by which they can experience the fact of Community among themselves. One of the serious disadvantages of the Community is the absence, and, indeed, the "frustration" of the peoples of the Region living together in a single community but not experiencing the facts of integration as a daily experience.28 Education, the dissemination of information to increase the understanding of the purpose and objectives of the Community are all-important factors in advancement of the cause of Caribbean integration. Quality human resources are also important for the development of the Region. 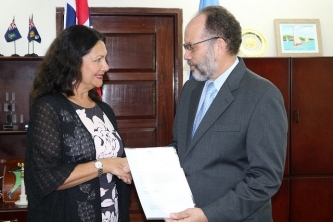 This was "both generally and in relation to the specific sector goal being pursued by CARICOM Member States individually and collectively".29 And as the twenty-first century loomed, human resources assumed greater importance as major changes had occurred and were occurring in the global environment, in such vital areas as communications, information, and bio-technology. It has been stated before in this section that Mr. Roderick Rainford is a refined and patient man. He is also a passionate believer in the question of Caribbean Integration and Unity. But he does not wear his heart on his sleeve. His method is not one of panache and verbal pyrotechnics. But in conversation and interpersonal relationships, one is able to determine how strongly Roderick Rainford wanted to see the Integration Movement expand and develop and how understanding he was of the challenges and difficulties which characterised his tenure as Secretary-General. But he was not daunted by them. He accepted the parameters within which he had to advance the work and activities of the Caribbean Community and he pursued the recognised aims with quiet fortitude. A man of unquestioned integrity, Mr. Rainford remains committed to the Integration process and the realisation of the hopes and aspirations of the Caribbean people. He understood that patience would be needed in realising the aims and objectives of the Integration process. That is why he has, for example, found and the sharp and overblown reaction to the non-implementation of decisions puzzling, as the European Union has experienced difficulty in this area also.